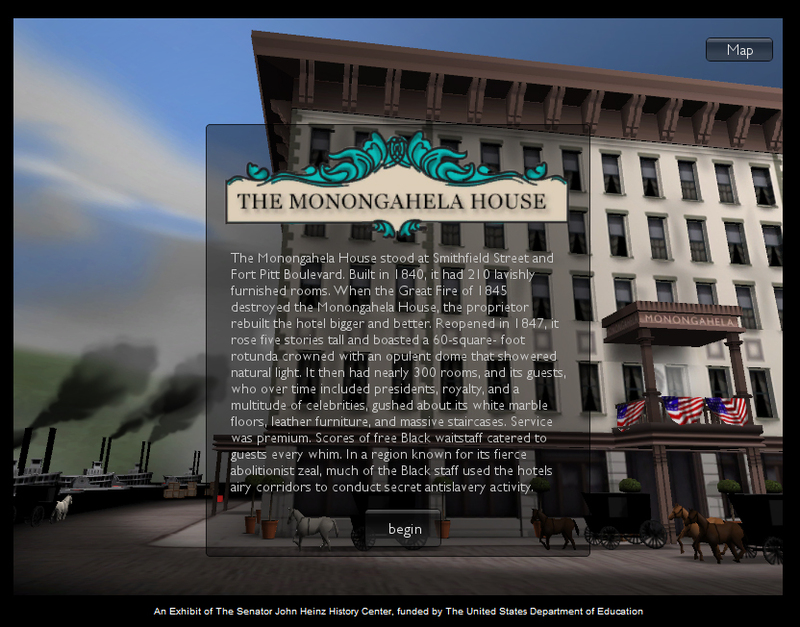 Try an online test version of the interactive here. The Senator John Heinz History Center completed the last portions of the exhibit in August 2013 which will remain for the next 10 years as a semi-permanent exhibit. 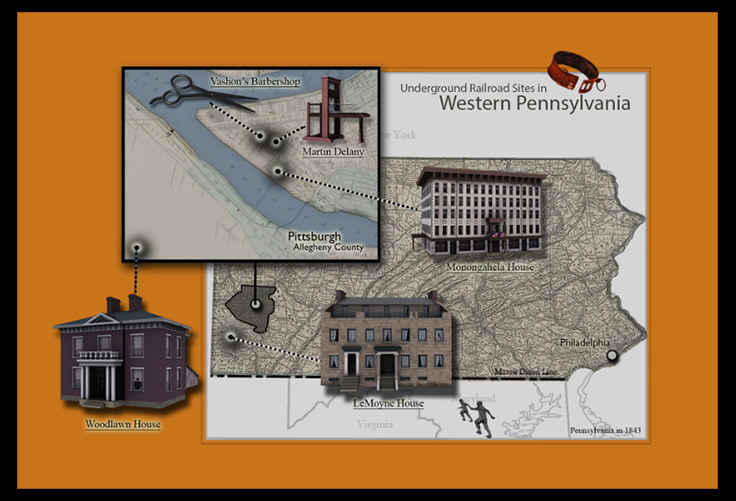 This included my portion in which the 5 interactive Underground Railroad sites are displayed on multiple touch screen displays that are embedded on a large historical map of Western Pennsylvania. 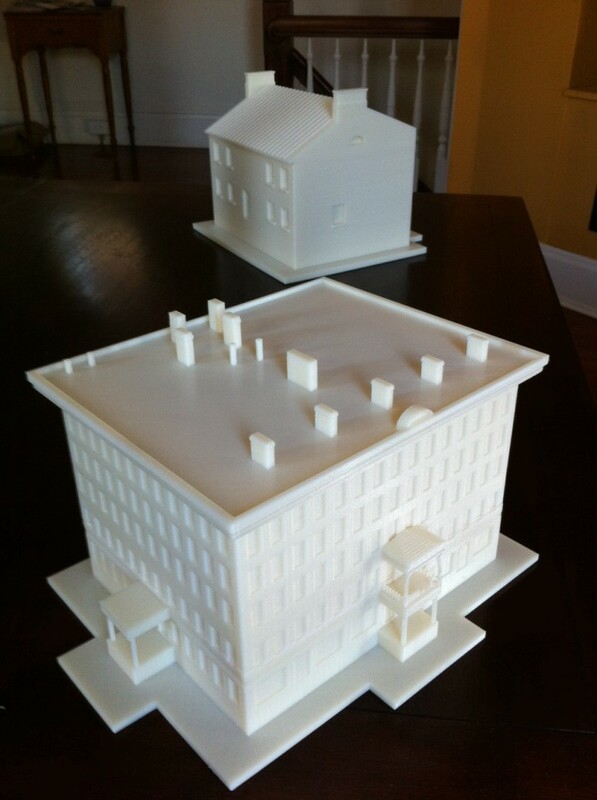 In addition, projecting from the map are 3D printed versions of the 5 houses and buildings that I printed from the 3D models in the virtual exhibit. Each location is illuminated from the inside as a kind of beacon. The idea for this came about when the Director of Exhibits and I discussed the Painted Lady Installation. Freshly printed Monongahela and LeMoyne houses. This was taken just prior to delivering them to the Senator John Heinz History Center. 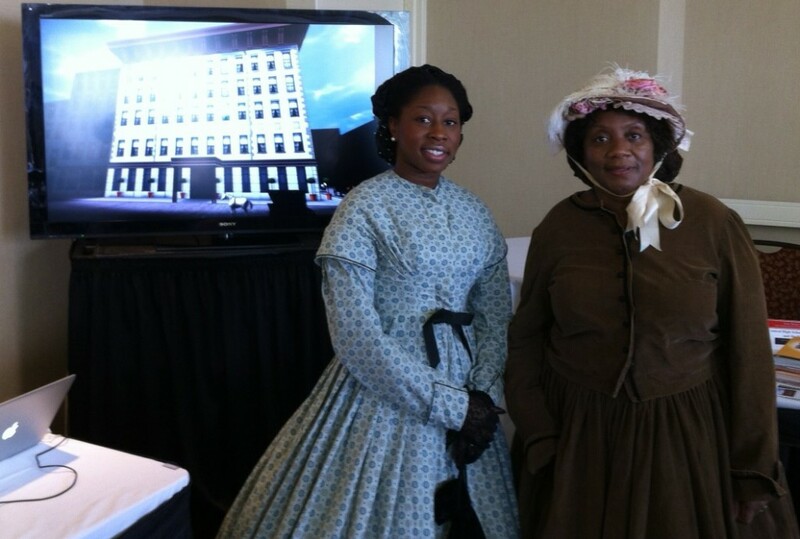 Presenting at the National Park Service’s National Underground Railroad Conference 2013. Two historical reenactors pose in front of the exhibit. 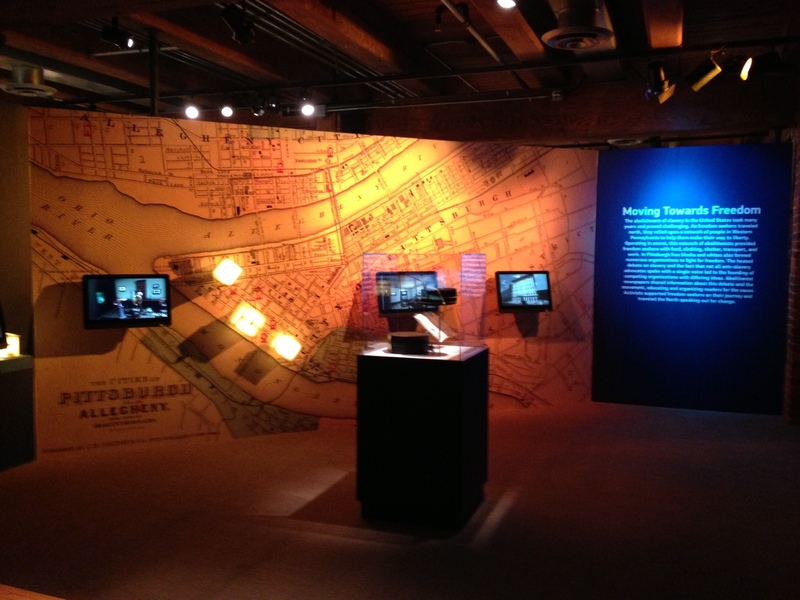 The Pittsburgh Post Gazette recently ran a front page article on the Senator John Heinz History Center’s new exhibit and featured a photo of the touch screen interactive.